Hello, Real Pants wearers! 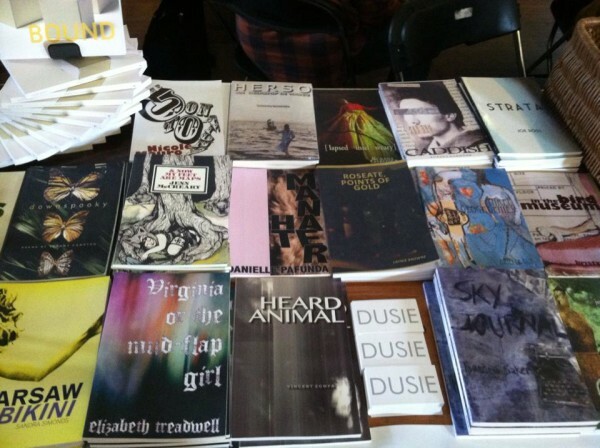 For the last month, my column here has treated the fascinating topic of “what happens when a small-press publisher/editor/book designer takes on way too many bookfairs and freelance projects during National Poetry Schlep Month.” Which is to say: the column has been nonexistent! I haven’t posted here since April 2. 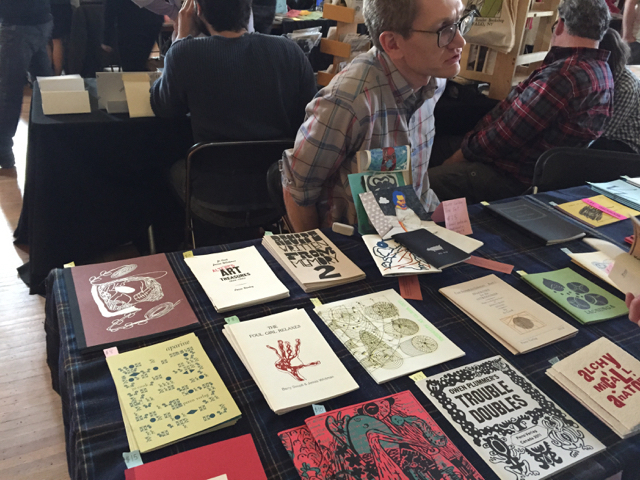 Now that I’ve had some time to recover, I thought I’d do a looky-loo post about one of the many events of April, the 2015 Buffalo Small Press Book Fair. Bloof Books was there both days, and it’s way less intense (in a good way) than the AWP bookfair we did the week before, so I actually had a few chances to walk around and talk to other book artists and publishers and take a bunch of pictures. 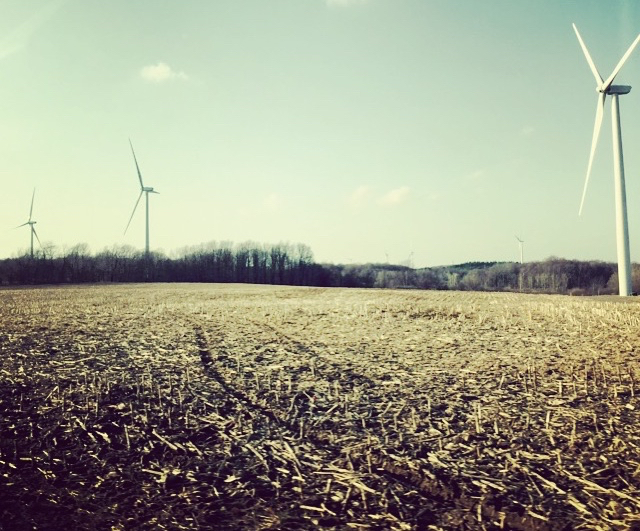 We have a preferred back-road route into Buffalo, which is generally how we roll anyway, but also so we can visit these massive wind turbines in the hills to the east, as we approach the city via 20A. I dunno if they are adored or afeared locally, but they are pretty striking to look at. By the time we arrived Friday night, Patti Smith was doing her thing (which I heard was great) but we were hungry, and we didn’t have tickets anyway. So we went out to dinner and then back to the hotel to take it easy (and finish making some chapbooks for the fair the next day). The fair opened Saturday at noon and was instantly peopled. 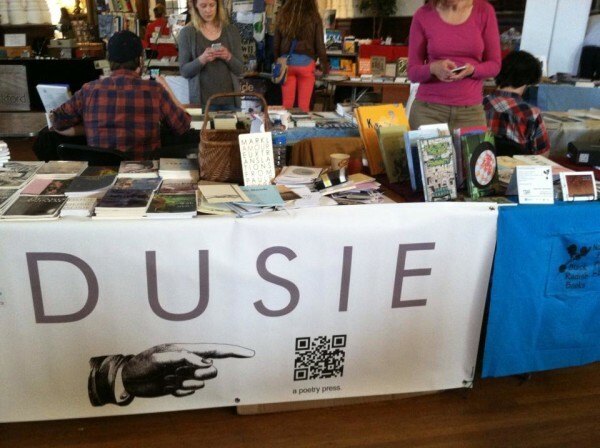 Lucky me, I got to sit next to Susana Gardner of Dusie and Marthe Reed of Nous-Zot & Black Radish Books. 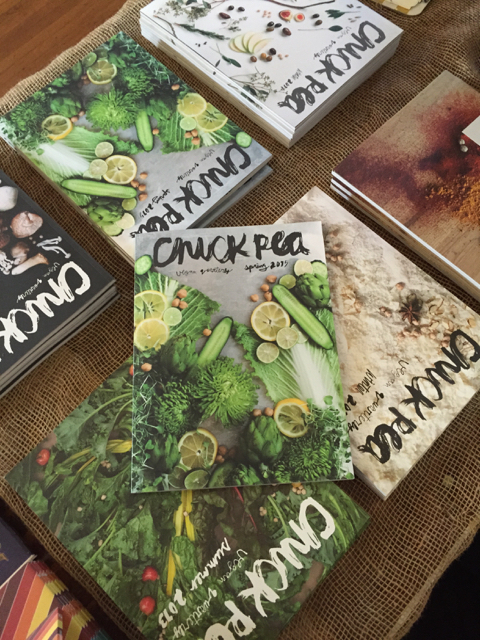 On my other side were the lovely folks of Chickpea, a swank vegan magazine out of Rochester, NY, that I’ve been subscribing to since I met them at the fair a couple of years ago. This is a beautiful periodical, y’all. 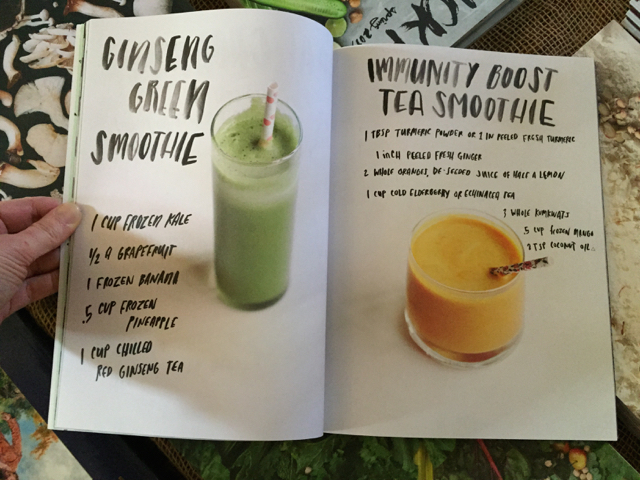 The seasonal recipes and regional articles are always fantastic, the photography is delicious, and Cara Livermore’s hand lettering and calligraphy throughout means the mag looks like no other. Mouth watering. 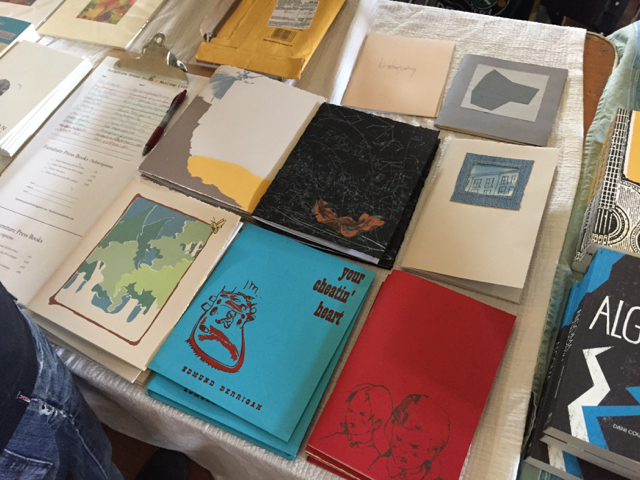 Some of our stuff at the Bloof Books table: new chapbooks, BOUND, some broadsides. 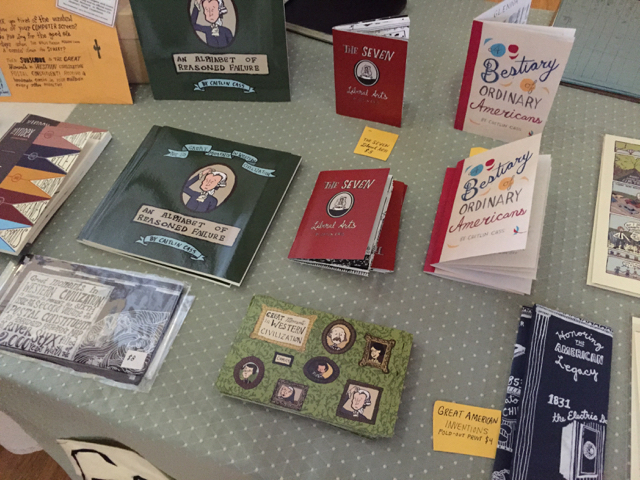 The BSPBF draws so many great presses, book artists, cartoonists, crafters, &c. there’s no way I can do them all justice even with the briefest blurbs, and it got busy quickly. 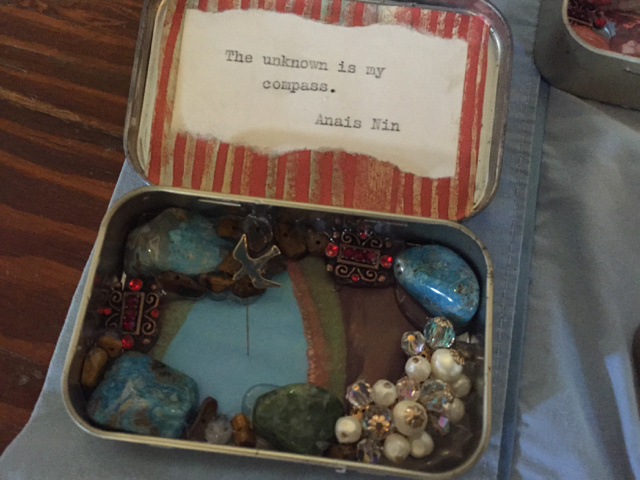 So I’m going to give you the gist with a handful of my notes-in-the-form-of-photos and a linked list of vendors to browse at your leisure. No, it’s not the same, but yes, you will find something must-have you did not previously understand was missing from your life and bookshelf. 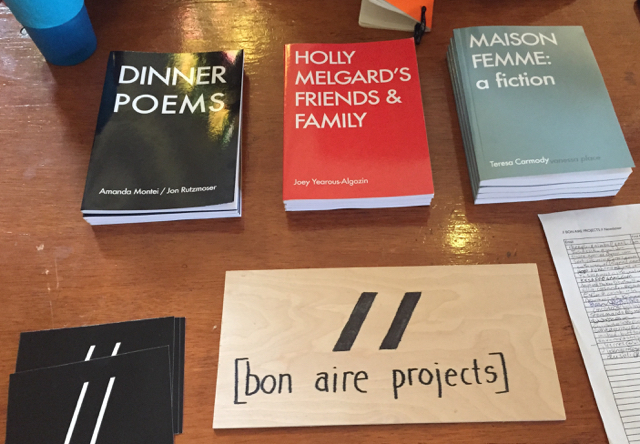 Local publishers Bon Aire Projects, aka Amanda Montei & Jon Rutzmoser. 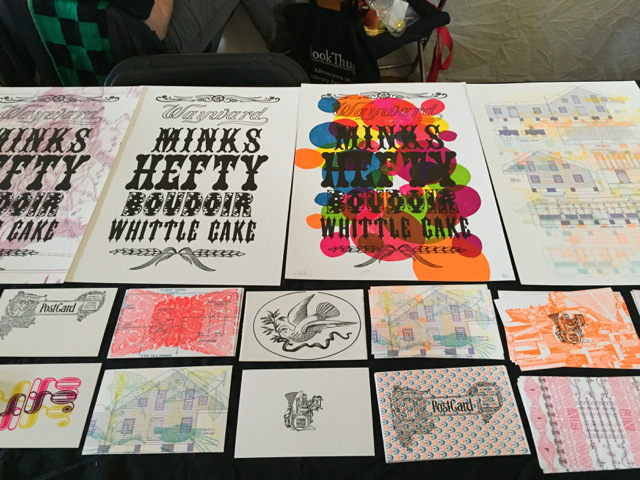 Chapbooks by Furniture Press/Christophe Casamassima, who came up from Baltimore. 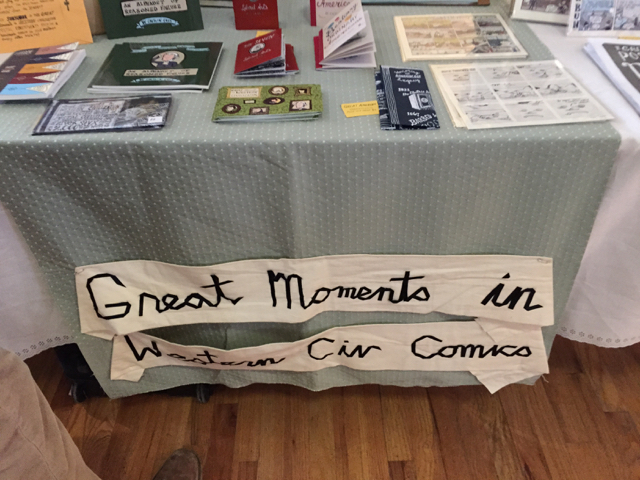 Great Moments in Western Civilization had great comics…and an envy-inspiring hand-appliquéd banner. Lots of cool stuff from Perro Verlag. 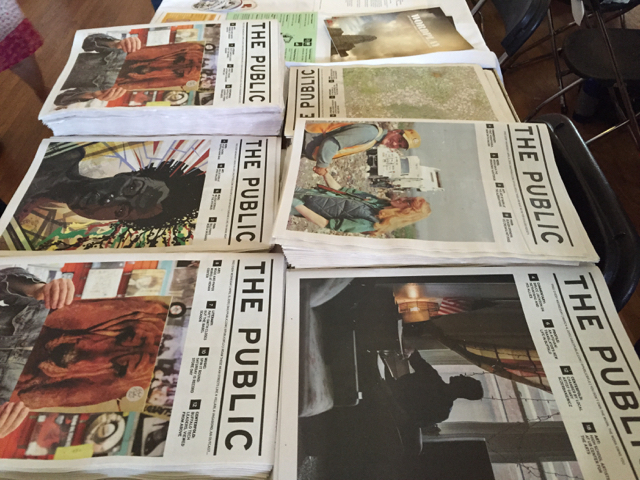 Newish alt newspaper of Buffalo, The Public. If you’ve never been to the BSPBF, I highly recommend the trip. 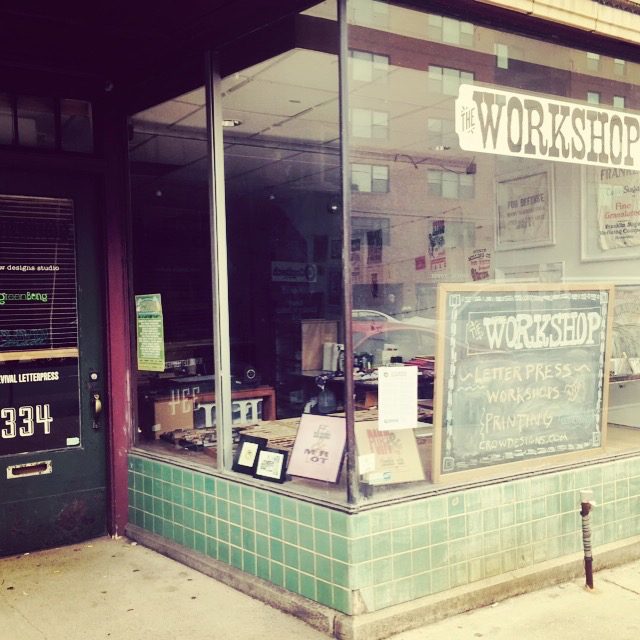 In addition to the vendor market, there are readings and workshops and other events. And it’s all free to attend. 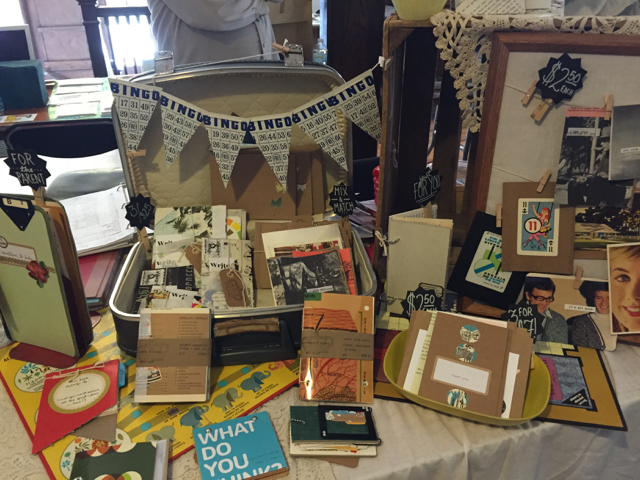 The DIY focus and manageable size mean it’s had a folding table and banner set up in the center aisle of my heart for several years now. And next year is going to be even more special, because it’s the tenth anniversary of the fair! Mark your calendars now. (Approximately, anyway. Dates to come). 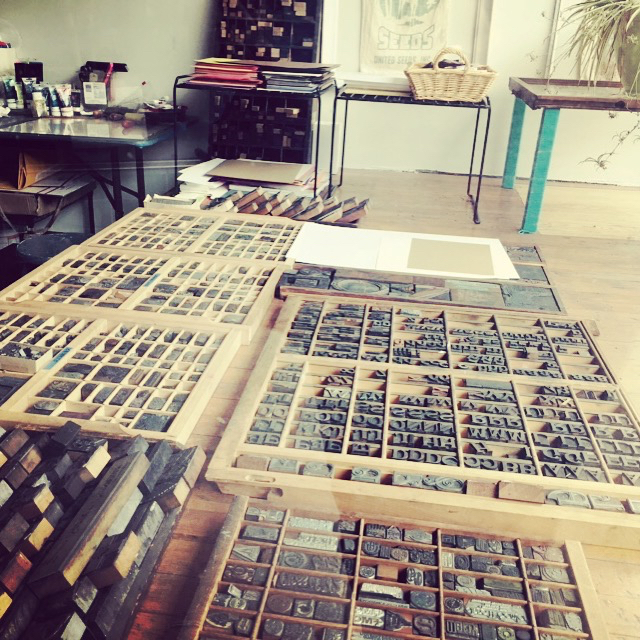 Before I sign off with the full vendor list for you to browse, I also want to point you to BSPBF-founder Christopher Fritton’s new traveling project, The Itinerant Printer. 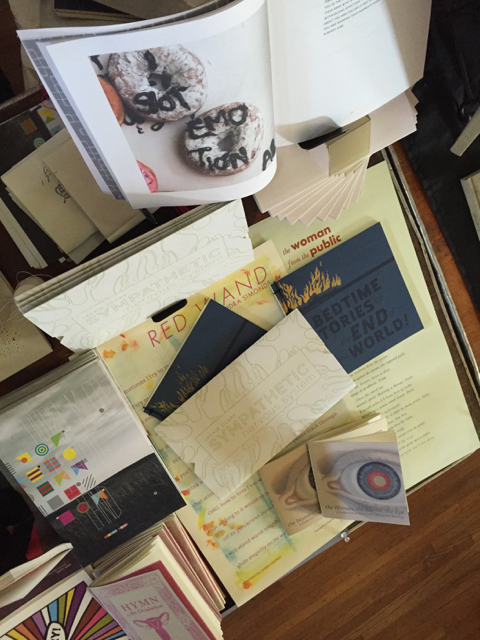 If you’re into book arts, letterpress, or road trips, you’re gonna be into what he’s doing. He’s blogging about his stops here, with lots of great studio photos. And he’s about to get on the road again, starting May 20, hitting stops in Arizona and New Mexico through June.